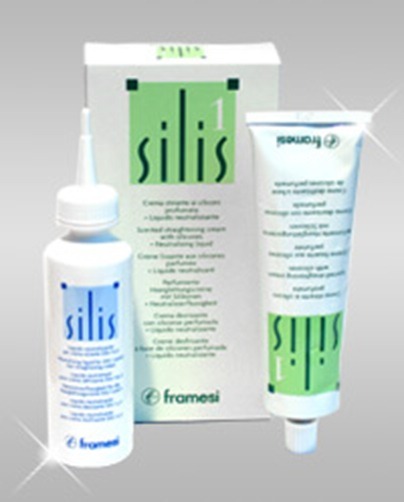 Framesi hair products introduced the Italian hair rebounding kits Silis 1 and Silis 2. Framesi hair rebounding is a completely safe process of hair straightening which brings an extraordinary silky, smooth look to your locks. Dry fizzy hair gets a complete make-over with it, which produces soft, silky and shiny hair.Framesi recommends use with ceramic-coated Japanese hair iron Cera Magic, which is specially designed for the hair rebounding process. Note: These products should only be used by a qualified, fully trained beautician. heloo i just want take informationn about rebounding proudecd ….i want too us this proudecd us in my saloon. I heard that these products are good for your hair, i never used it as my hair are already straight. I just had this done and it fried my hair. VERY damaged now. I had it done by a professional hair dresser. Hello….my hair has been relaxed for the past 5 yrs. – 1st product Redken vertical curl – discontinued then wellastrate – discontinued. Its time for another treatment and my stylist has recommended Silis by Framesi. I have not found many reviews and the few that have been found are not favorable. Can you please let me know if your hair was previously relaxed, colored, highlighted etc. Anything you could tell me would be welcomed. I’ve used Framesi Silis 2 and had really good results. My hair is colored regularly, but I only use the straightener once a year. Does anyone know where I can get this in miami? hi i needd to ask that i want to buy a rebonding straightner for me can u plz tell me the exact price?